Make every student feel special with these personalized nameplates in this bold, contemporary Calypso design. Pack includes 36 self-adhesive Quick Stick nameplates measuring 9.5" x 2.875" . These convenient nameplates are ideal for desk or cubby assignments or to label and organize your classroom! They can easily be repositioned over and over again! 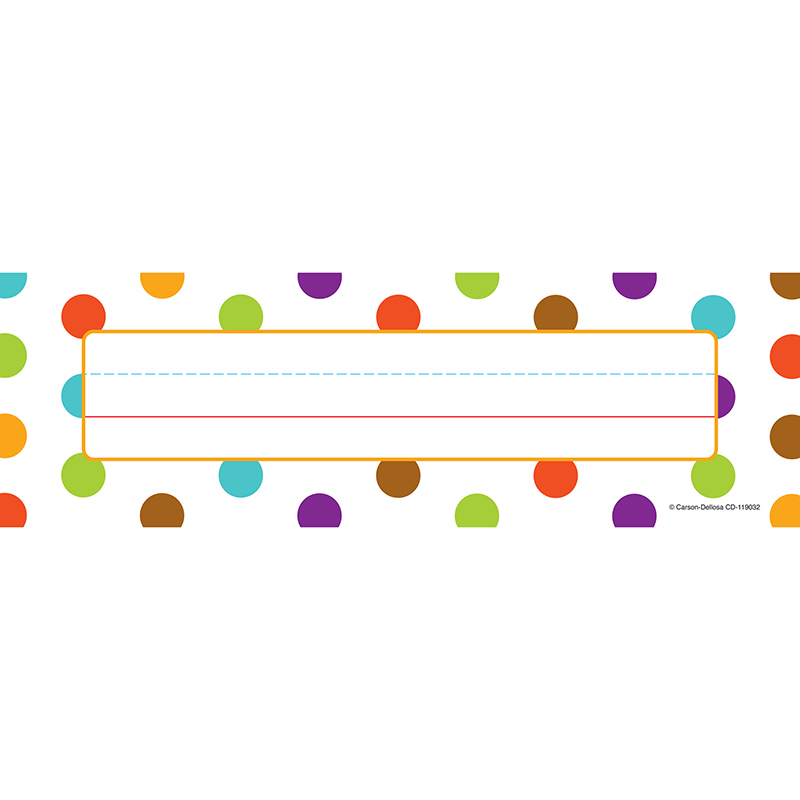 Look for coordinating products in this design to create a colorful and inviting classroom theme!